At Southeast Floor Prep, we have invested heavily in the equipment and technology necessary to provide efficient service in dealing with coating removal and concrete preparation services. With Southeast Floor Prep, our methods allow us to meet industry standards and provide quality products for our customers. Due to wear and tear, erosion or weatherization are some reasons where you need to renew your concrete floor. With Southeast Floor Prep coating removal and concrete preparation process, businesses can be sure to receive the right applications, technologies and team to take care of your needs. One reason for coating removal is to allow the coatings to efficiently adhere to the concrete. Depending on what type direction you want to go with your floor, having a clean and smooth surface is essential when choosing to fully develop your concrete floor. Using the Southeast Floor Prep technologies, equipment and certified team, the process of coating removal will cost you less, be completed in a optimal time-frame and be ready for the next process. Surface preparation is an important part of achieving long-lasting results if you are looking to restore or develop your concrete floor. Before you decide to resurface your concrete or add a decorative finish to your floor, the concrete surface needs to be prepared. Preparation methods may include grinding, shot blasting, or scarifying. Southeast Floor Prep offers concrete preparation services to commercial, industrial and institutions. Southeast Floor Prep uses the latest equipment and technology for coating removal and concrete preparation services. Our team comes to your location, consults and plans your concrete preparation an coating removal needs. We will examine the surfaces, plan the job and deliver results. For additional information, contact Southeast Floor Prep for your coating removal and concrete preparation services today. Since 1995 Southeast Floor Prep. has provided epoxy floor coatings in South Florida and surrounding areas. Our highly trained and skilled crews can completely remove durable, decorative floors and chemical resistant coatings, impact and abrasion resistant coatings in the industrial environment. General Polymers, Tnemec,National Polymer, Neogard and Key Resins are just a few of the manufacturer’s products we use. If you are looking for urethane cement, decorative quartz, decorative vinyl flake, trowel down mortar, vinyl ester, 100% solids epoxy or any other specific system Southeast Floor Prep is the company you need. We understand that down time in your facility means lost revenue. We can schedule times and systems designed to meet your timelines with the least amount of disruption to your operations. At Southeast Floor Prep, our concrete coating removal specialists offer high quality diamond concrete floor polishing services for your concrete floors. You don’t have to just “let the floor go.” You can make it look just as nice as the rest of your home. 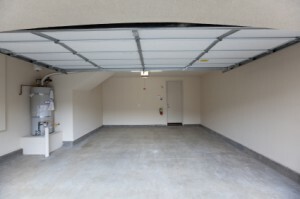 You can finally turn your garage into the man-cave you’ve always wanted, or a workshop and tool room, game room, party room, and many more ideas. Whatever your needs, we will ensure your concrete floor is beautiful, functional, and feels like home. Southeast Floor Prep offers quality skilled warehouse or garage floor coating removal using concrete stain remover, epoxy remover or urethane. Our floor coating removal services are customized to fit your needs. We protect, beautify and make your concrete floor safe and easier to maintain so that you can continue on with business as usual. If your warehouses and commercial buildings have concrete floors, you should consider investing in our durable industrial floor coatings to protect them. Untreated concrete flooring is not only an eyesore, but it isn’t as strong as it could be if it were coated. Decorative concrete floor preparation has become a popular choice material, for interiors and exteriors structures. From floor coating removal to polishing and finishing, Southeast Floor Prep decorative concrete painters offer easy maintenance, slip resistance, crack repairs, color selection and are extremely durable. Concrete has undergone a reinvention. Thanks to decorative concrete coatings and techniques, a variety of colors, patterns and designs can be made from it. It is out to replace the traditional and yet expensive flooring materials. If you are looking for a concrete floor coating removal specialist in Florida then please call toll free at 1-877-GRINDFLOOR (1-877-474-6335) or locally at 561-748-7754 or complete our online request form.